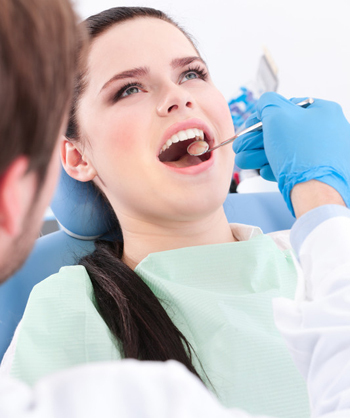 At PQB Dental Clinic, our goal is to help our patients keep their teeth for life. The best and easiest way to reduce the chances of decay, serious infections and disease is to follow a course of high-quality preventative dentistry. We consider preventative dentistry to be a team effort. We partner with you to provide regular check-ups and proper dental treatment, while you follow good oral hygiene at home. By working together with your dentist, you can assure the long-term health of your teeth. Dr. Rogers and his team are always ready to assist you in developing a comprehensive preventative dental health program to maximize results, avoid potential costly future dental treatment and or dental pain. At PQB Dental we know that regular general dental care is the key to maintaining the long term health and appearance of your smile. We pride ourselves on being able to provide outstanding comprehensive dental care to you and your family. Professional cleaning to remove deposits of hardened plaque that cannot be removed by brushing alone. An oral cancer examination – this is particularly important as pain is not generally an early warning sign of this deadly form of cancer. An examination for any other oral diseases including decay or periodontal disease. Between your 6 month visits to our dental practice, it is important for all our valued patients to continue looking after their smiles. This means brushing at least twice daily with a soft bristled toothbrush held at a 45 degree angle at the gum line , and flossing at least once a day to remove any food debris caught between the teeth. Flossing is a vital component of any oral health routine, so it is important you don’t forget this step! Floss right before bed for the best chance at maintaining a healthy mouth as we do not produce enough saliva whilst asleep for our mouth to fight any present bacteria.